"I go to bakeries all day long. There's a lack of sweetness in my life." Lemonade is ranked as the best album by Beyoncé. Members who like this album also like: ★ (Blackstar) by David Bowie, To Pimp A Butterfly by Kendrick Lamar and A Moon Shaped Pool by Radiohead. Port City Music Hall, Portland, United States. The tracks on this album have an average rating of 82 out of 100 (all tracks have been rated). 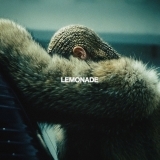 Related links: top tracks by Beyoncétop tracks of the 2010s, top tracks of 2016. Showing latest 5 ratings for this album. | Show all 423 ratings for this album. One of the most interesting albums I've heard in a hot minute. Calling LEMONADE "pop" or "r&b" is not exactly wrong, but does not convey the sheer breadth of sounds and styles encompassed by the record. Like "Don't Hurt Yourself," the highlight of the album for me. Rock? Like, kind of. Or "Daddy Lessons," the gospel-country jam-session, sort of. The variety, and yet cohesiveness, of this album makes it one of the best albums of the year. O grito dos negros atinge o mainstream com seu expoente mais brilhante! Beyoncé canta sua vida e a realidade de seu povo. A modern masterpiece. I love this album. It's Beyoncé's best album. Not the biggest fan of Beyonce but this album really stands out as a great performance all over. Great lyrics and amazing production. This album has its high points and its low ones, a more cohesive nature and different editing would have helped it. Pop can be an amazing genre. And this is a prime example. A modern masterpiece paired with her stunning visual accompaniment. Beyonce is an undoubtedly amazing performer of the arts. This album really blew me away when I first heard it! I have never really been a Beyonce fan but I had to listen to Lemonade since it was getting such great reviews and they are well deserved! It is a very diverse album and it really shows just how far she is coming as a musician. I will say however, that I liked her self-titled a little better but this was not a step at all in the wrong direction and I hope she keeps up the good work going forward! One of the most overrated album of the year. A bunch of expensive producers/writers/musicians doesn't make a good album.